I've walked this lane on the edge of Frome hundreds of times over the last twenty years, but it was only a couple of days ago that I focussed in on some unusually-lobed bramble leaves, growing at the foot of a hedge .... And this led to the rapid discovery, as I learnt to pick out those leaves from the rest, that this whole network of lanes was full of Dewberry (Rubus caesius), growing alongside, or rather beneath, the more vigorous arching growth of the brambles. 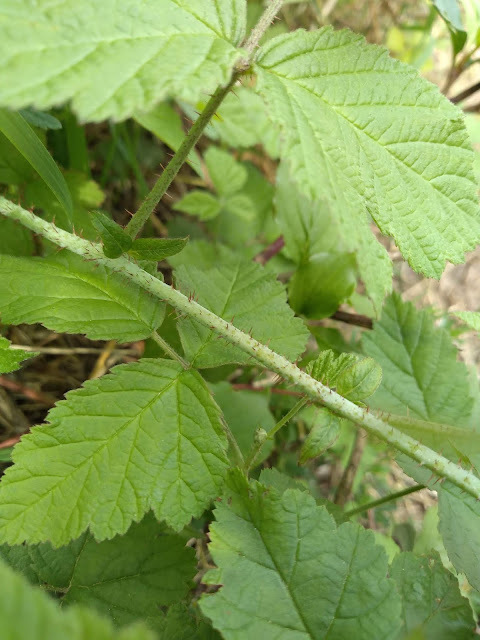 Young stems, with a whitish bloom and many rather weak prickles. On older stems the prickles have mostly been rubbed off. The fruits were mainly over, but I found this one. Differs from blackberry in fewer, larger drupelets, with a bluish bloom. This is the European Dewberry. Common in the southern UK, with a preference for basic soils (Frome is on limestone, the Lower Jurassic). 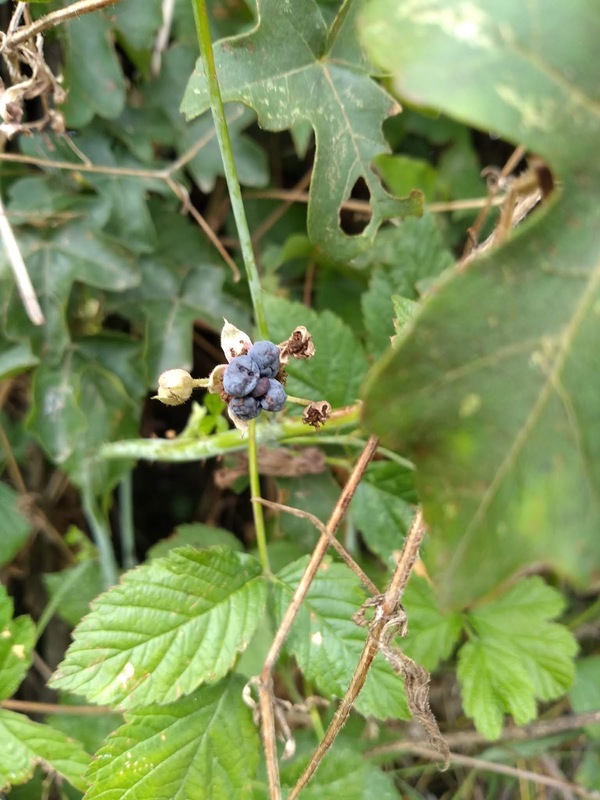 In Sweden it is called Blåhallon (blue raspberry); quite common in Skåne and Gotland, found also as far up as Mälarland. In North America there are a dozen other dewberries, and some can be a fruit crop, considered to have a sweeter flavour than blackberries. Our species has too few fruit to be worth gathering: the flavour is said to be sweet but a bit insipid. The poetic name "Dewberry" has made it popular in skincare products and health supplements. So far as I can see its healthy properties (antioxidants, Vitamin C) are just the same as blackberries. 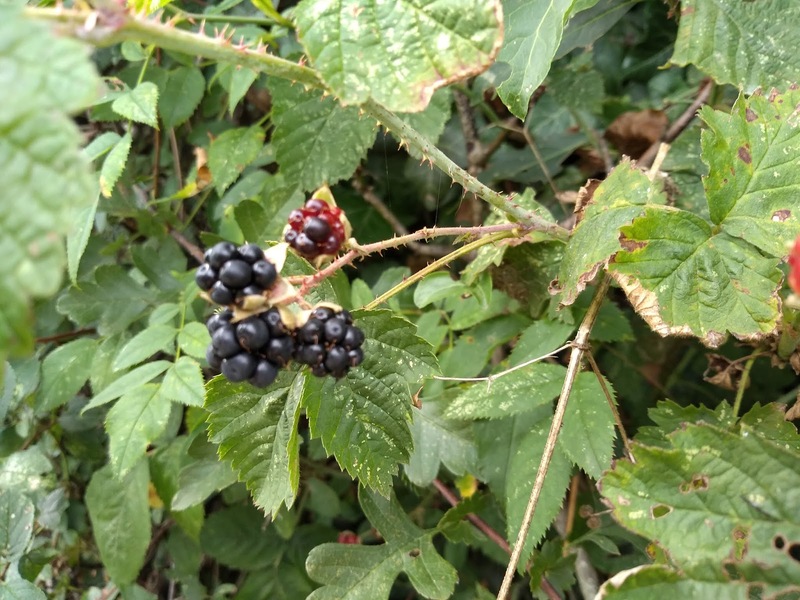 The hedges were full of normal blackberries, on which I've been gorging. Some, like the ones in the photo above, seemed a bit intermediate. 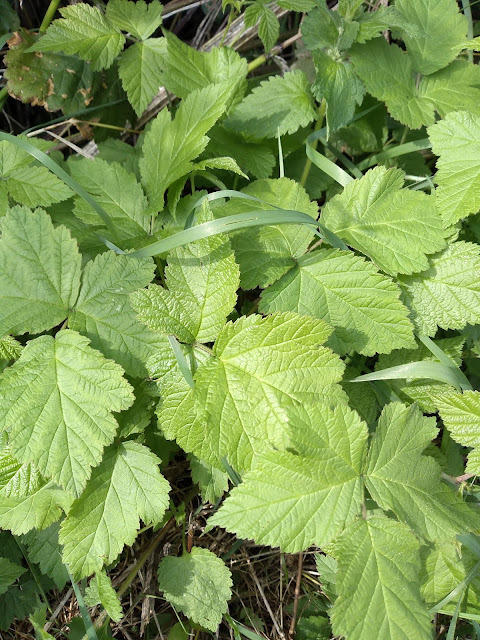 My limited knowledge of the complexities of Rubus fructicosus agg. prevents further surmise. Like most townsfolk, our usual country haunts are on the edge of town, precisely the places that are likely to be built on next. And sure enough, there are grand plans for three thousand homes here. I don't know if these ancient lanes will be obliterated or just islanded.